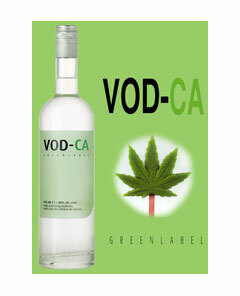 VOD-CA Greenlabel is a high quality vodka which received its character after blending it with a refined old fashioned way of distilled Cannabis aroma. It’s the addition of this wonderful aroma that creates the crisp fresh green grass nose and lingering finish. Pour me another! This is something caused by the unique soft flavor of the product. 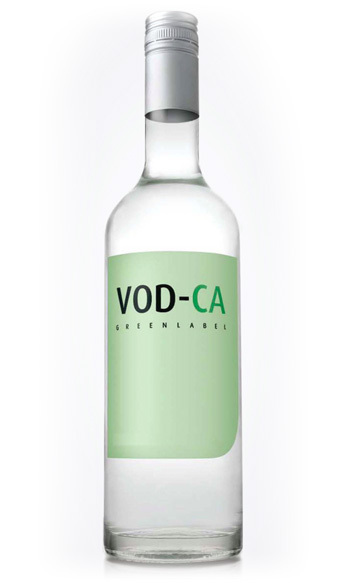 This Vod-Ca is really different than the average vodka not only in taste & smell but also in quality and presentation. Drink it pure on the rocks or mixed as your favorite cocktail. VOD-CA will bring you into another dimension! With a complete clean conscience we can declare this wonderful product, drug (THC) free. Under strict CUSTOMS supervision the distillation of the cannabis aroma is fully controlled and therefore beside the alcohol itself,… DRUGFREE!